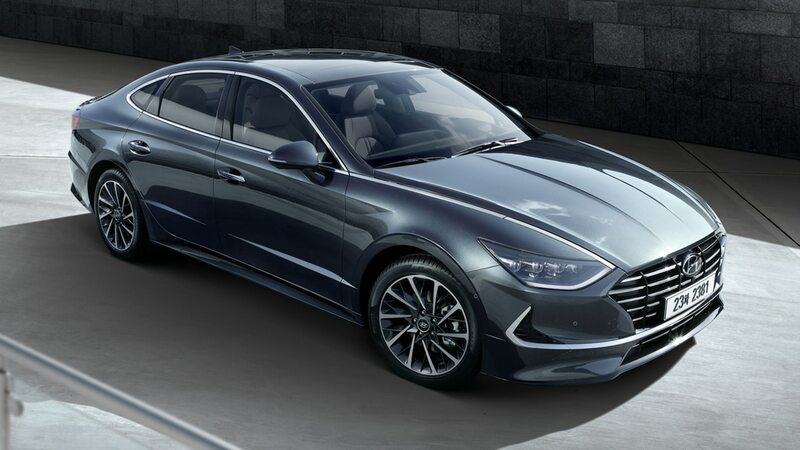 Earlier this month, Hyundai showed off the first official images of the redesigned Sonata. Not only is it longer, lower, and wider than before, it’s also much better looking. 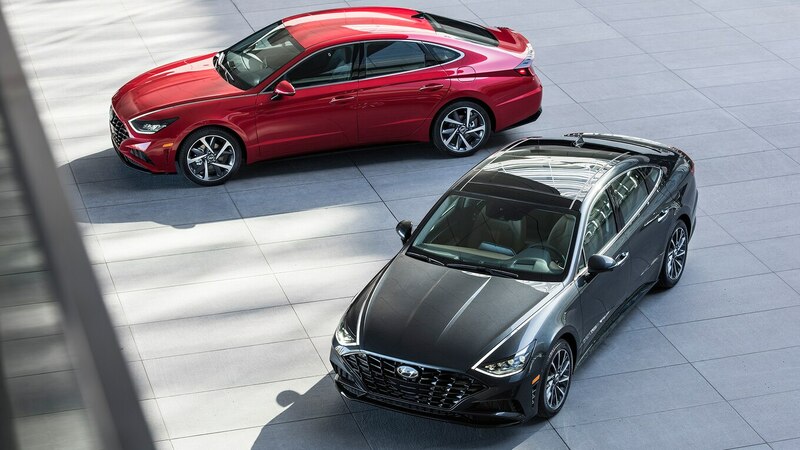 While its predecessor’s design can best be described as inoffensive or anonymous, the 2020 Sonata really stands out. Some people will love it, and others will hate it, but at least they’ll notice it. After taking a closer look at the new Sonata during a prototype drive last week, we think these are the six coolest features that we’ve seen so far. The Sonata’s taillights may look like they were lifted straight from the current Honda Civic, but we’re big fans of the character line that visually connects them to the headlights. That’s partly because it’s a nod to Hyundai’s earlier Le Fil Rouge concept, but we also appreciate the way it helps stretch the proportions of the car. If you didn’t know any better, it would be entirely reasonable for you to think this front-wheel-drive family sedan is a rear-drive fastback like the Kia Stinger. 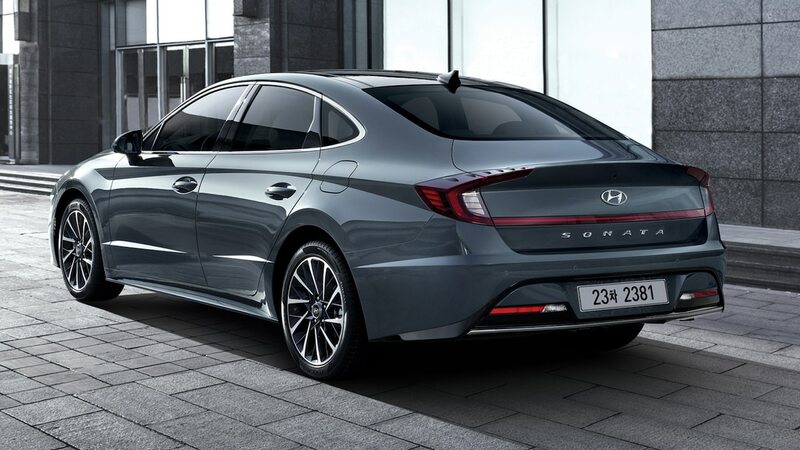 Ever since Hyundai introduced the stand-out 2011 Sonata, the chrome window trim has been connected to the headlights. Even the forgettable 2015 redesign kept that particular styling element around. But by running that chrome trim along the hood itself, Hyundai has managed to turn it into a distinctive styling feature. We’ve also heard that Hyundai’s considering offering a version (perhaps a Sonata N?) that swaps the chrome out for black metal instead. Sometimes, the most unnecessary details end up being our favorites. Take, for example, the new Sonata’s hood shut line. 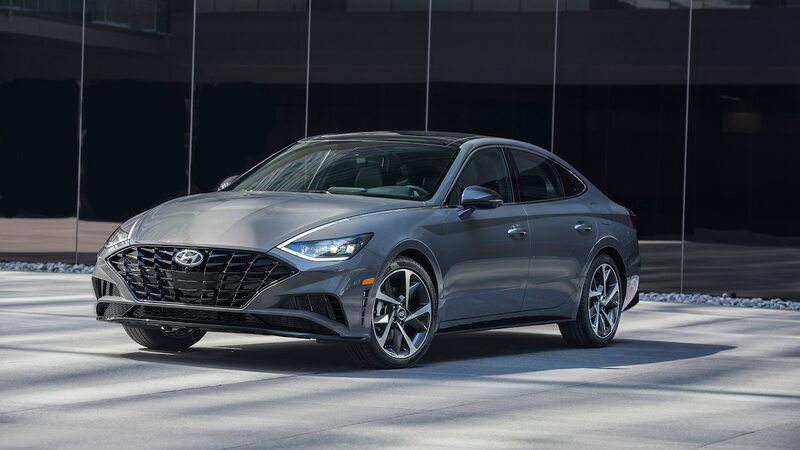 If Hyundai had done what most automakers do and separated the metal hood from the grille with a few inches of plastic, no one would have noticed or cared. But instead, Hyundai took the time to extend the hood shut line all the way to the grille. Hyundai chief designer SangYup Lee points out that the Sonata is one of only a handful of cars to pull off that uncommon design feature, and all the others are from premium makes like Aston Martin and Bentley. And yes, Hyundai is confident it will still meet all modern crash safety standards. 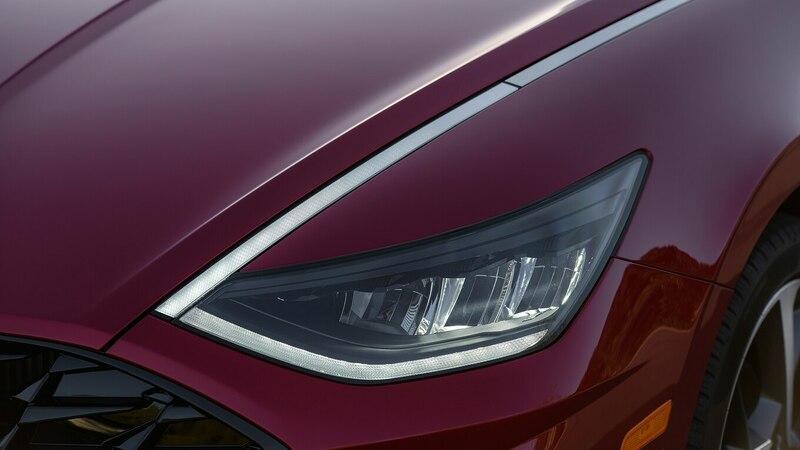 Like the hood shut line, the 2020 Sonata’s daytime running lights are a completely unnecessary detail that really helps the new design stand out. The LED strip that runs along the bottom of the headlight housing is pretty conventional, but the part on the hood that connects with the chrome trim definitely isn’t something you see every day. Even better, the DRL’s brightness gradually fades as it travels up the hood strip. When we drove the new BMW X7 recently, we were a little surprised to see that it gave you the option to use your phone as a key. But a full-size luxury flagship, even an SUV, tends to offer much more advanced features than the ones you find on a midsize family sedan. That’s why we were even more surprised to see that the 2020 Sonata offers the same feature if you have a phone with Near Field Communication capability. All one has to do is touch their phone to the door handle, and they’re in. 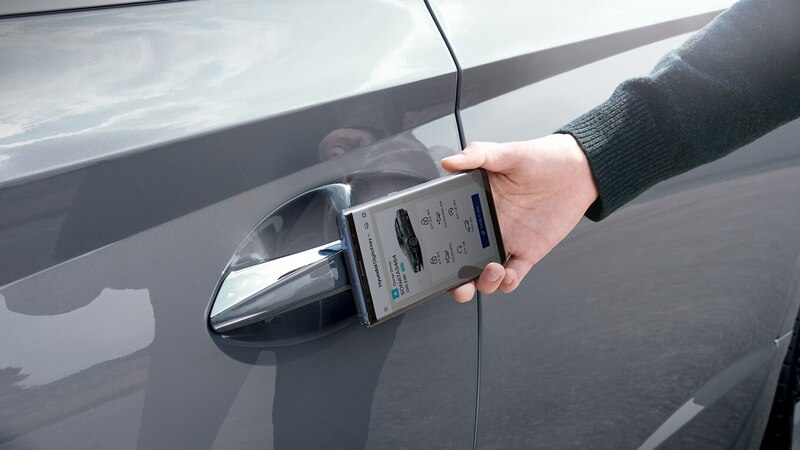 Technically, the Sonata’s remote access feature could be lumped in with the digital key, but we think it’s cool enough to get its own mention. 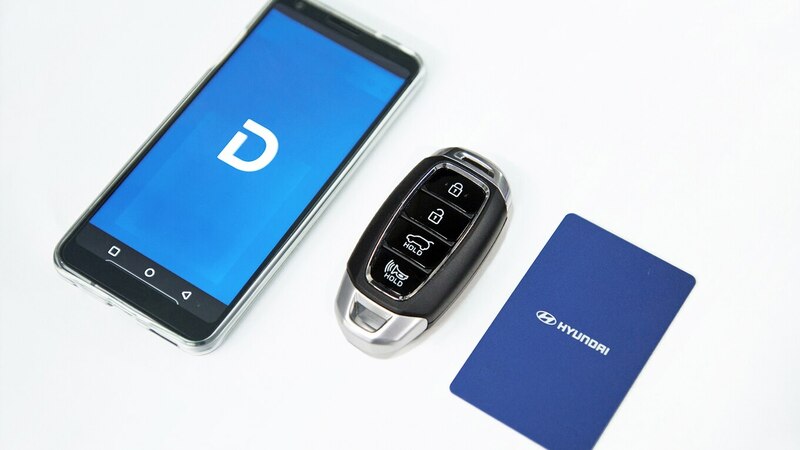 If someone else needs to drive your car, you can temporarily turn their phone into a digital key, as well. You can also control what kind of capability that temporary key has, including what can be unlocked. So, in theory, you could allow a delivery driver to open your trunk without giving them access to the rest of the car.